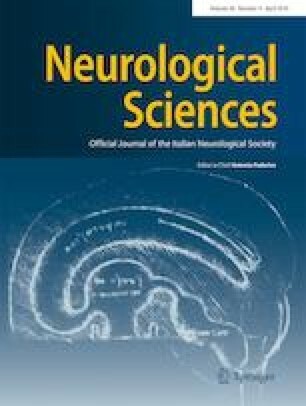 To explore the clinical, imaging, and electroencephalogram (EEG) findings, as well as the treatment and prognosis of five patients with anti-γ-aminobutyric acid B receptor (GABABR) encephalitis and review the current literature to gain a deeper understanding and improve the clinical diagnostic ability of the disease. Clinical data such as blood examination, imaging, computed tomography (CT), EEG, and magnetic resonance imaging (MRI) findings from five patients with anti-GABABR encephalitis were retrospectively analyzed. Based on the imaging data, autoimmune encephalitis with anti-GABABR antibodies displayed subacute onset of episodic memory loss, seizures, and confusion, in addition to signal changes in the medial temporal lobe and/or hippocampus. Anti-GABABR antibodies were found in blood and cerebrospinal fluid (CSF) in all five patients, although the CSF leukocyte count and the levels of protein, sugar, and chloride showed no obvious abnormalities. On MRI, only two patients presented with abnormal signals in the medial temporal lobe and/or hippocampus. The EEG showed a slow wave rhythm in all five patients. After treatment with methylprednisolone pulse therapy combined with antiepileptic treatment, all five patients recovered well, without any complications. Autoimmune encephalitis with anti-GABABR antibodies may be a severe and refractory disease. Anti-GABABR antibodies tested in CSF and serum play a crucial role in the definitive diagnosis and treatment of autoimmune encephalitis. Early treatment is of vital importance to avoid serious complications and neurological sequelae. This study was supported by grants from by Science and Technology Development Program of Shandong Province, China (No. 2011GGB14095), Medicine and Health Science Technology Development Program of Shandong Province, China (No. 2011HD009), Traditional Chinese Medicine Science and Technology Development Program of Shandong Province, China (2011-194, 2017-163), Natural Science Foundation of Shandong Province, China (No.Y2007C168, No. ZR2011HL020, No. ZR2012HL28, No. ZR2016HP23), and Key Science and Technology Program of Jinan City, China (201704113).